I hadn’t played on my VR set since last year. I didn’t have a problem with it, but this past Friday I just had no display on my Samsung Odyssey. The green light would blink without end. Last time I played, I had my graphics card connected to 3 monitors plus the VR. 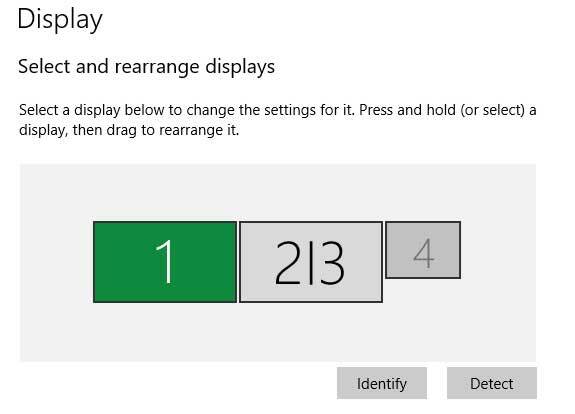 But for the 2 months that I didn’t use it, I had switched one connection to an HDMI switch (display 4 on the image) instead of a direct connection to a monitor. It worked for my unorthodox setup but it didn’t cross my mind that it would mess up my VR headset. I had also connected my new XP-Pen 12 graphics tablet (which is also a monitor). Thankfully, this didn’t mess things up. I have my main monitor duplicated on said tablet’s monitor (display 2|3). No problems. But why is problem happening? My guess is that it has something to do with the HDMI switch’s HDCP. Even though the PC displays just fine through the switch, as soon as I connect (or activate) to it, the headset loses signal. As shown on the image above, display 4 (the HDMI switch) is deactivated. When activated, the green light in its near center starts blinking. That blinking means that there is no signal, I believe. McAfee Problems � So Glad That’s Over With!